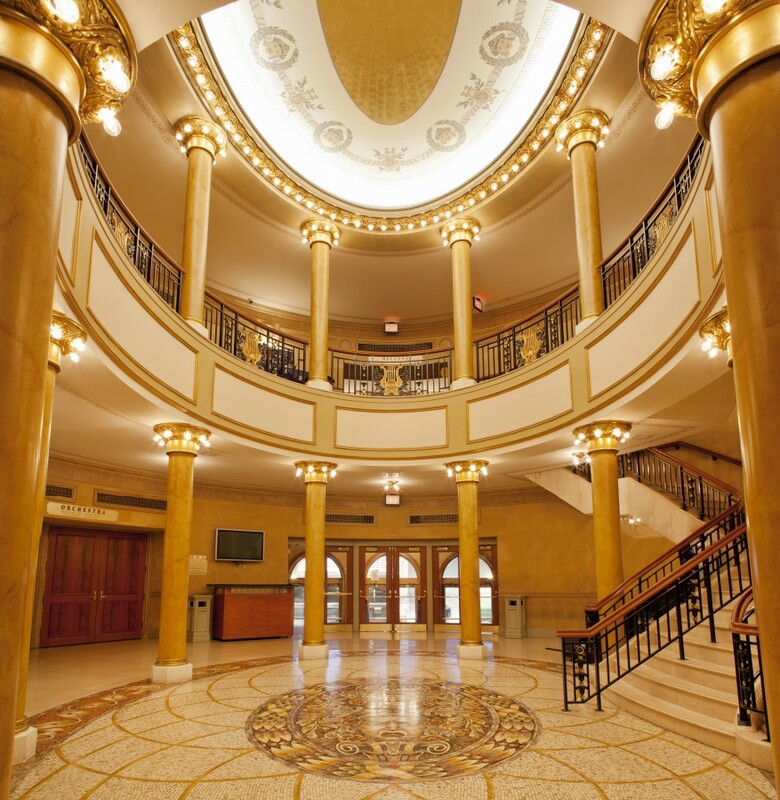 Renamed the Lyric Theatre by ATG in 2014. Built in 1996-97 on the site of the former Apollo and Lyric Theatres. 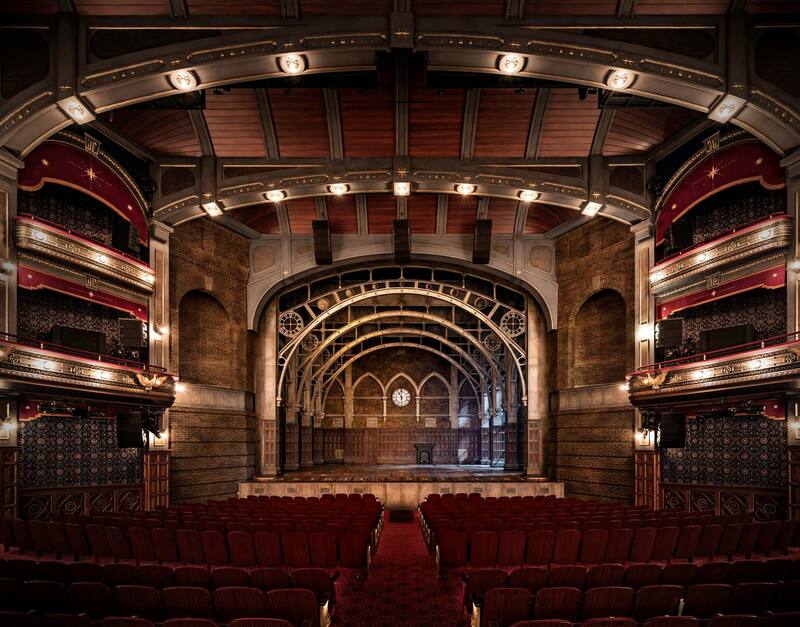 The original Lyric was built in 1903 and hosted Shakespeare plays and such notable new shows as Cole Porter’s Fifty Million Frenchmen, until it was converted to a movie theatre in 1934. 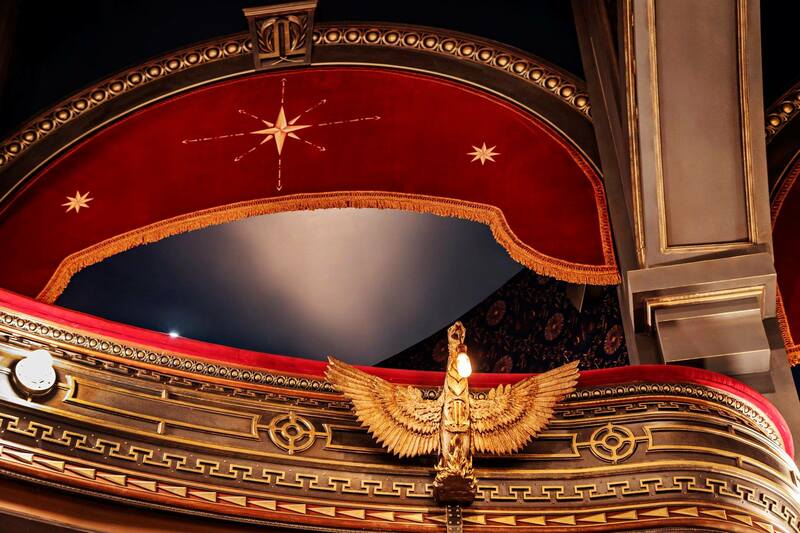 The Apollo, constructed in 1920 by the Selwyn Brothers to a design by Eugene De Rosa, housed the Gershwin musicals Strike Up the Band and George White’s Scandals, among other works, but was also turned into a film venue by the early 1930s. A brief return to use as a legitimate theatre in the late 1970s proved unsuccessful, and the venue ended its existence as a nightclub. 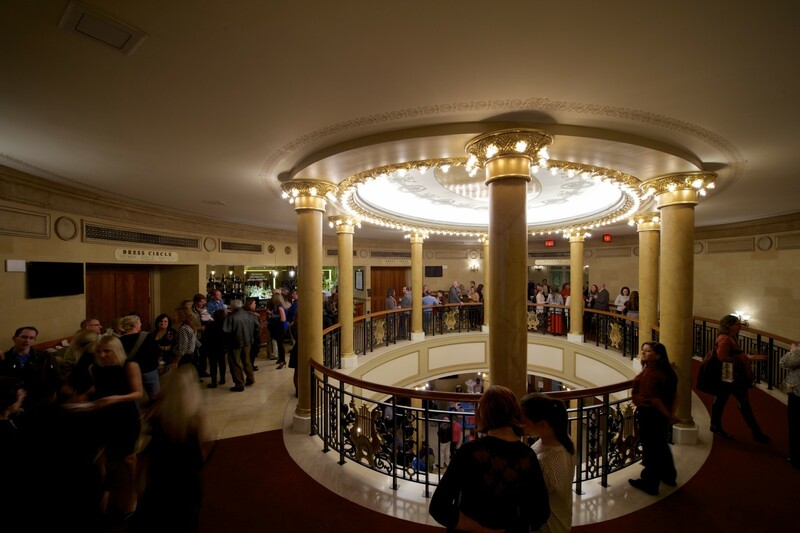 By the early 1990s, after being neglected and falling into serious disrepair, both theatres were condemned. 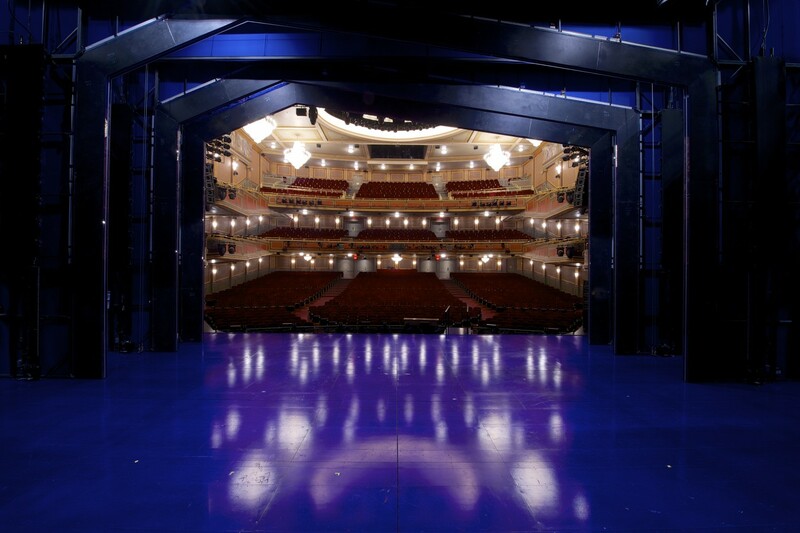 They were among the 42nd Street theatres repossessed by the City and State of New York in 1990, and fell under the protection of the New 42nd Street organization in 1992. In 1996, the theatres were leased by Livent and demolished. 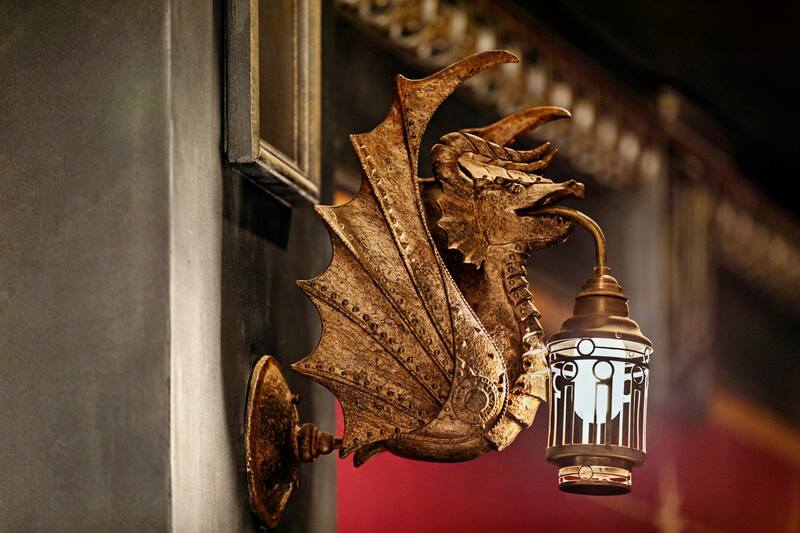 However, certain major architectural elements and structures were protected under landmark status; these were carefully removed from the buildings, stored, and incorporated into the new theatre. 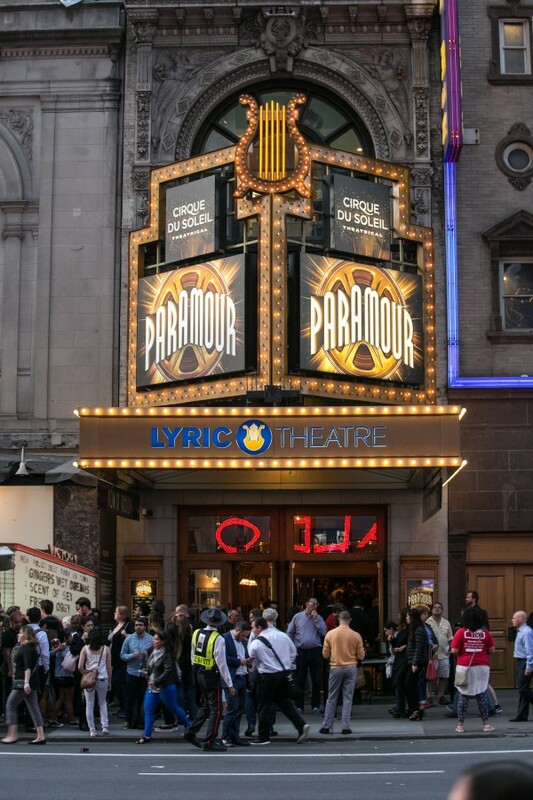 Today, patrons visiting the theatre sit under the dome from the Lyric and proscenium arch from the Apollo, and pass through the ornate Lyric Theatre facades on 43rd and 42nd Streets. 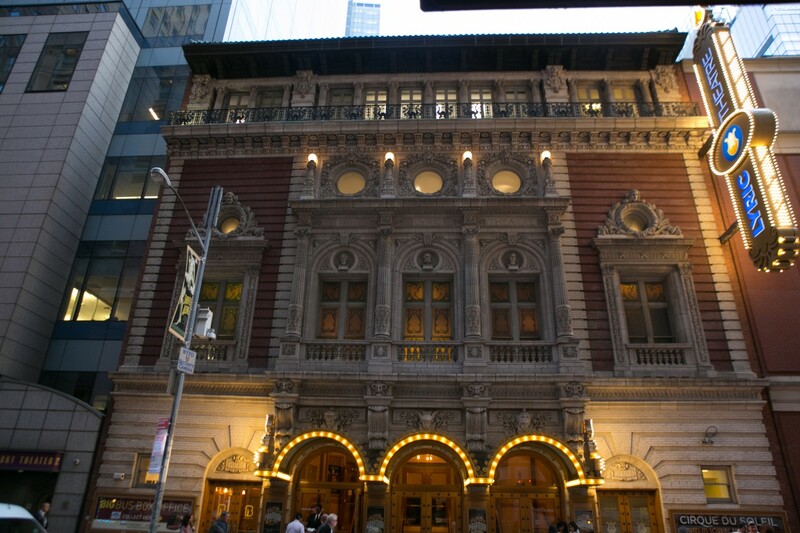 Above the 43rd street entrance, on the second floor, can be seen the busts of W. S. Gilbert, Arthur Sullivan and Reginald De Koven; the Lyric Theatre was originally intended to house De Koven’s works. The theatre opened as the Ford Center for the Performing Arts on January 26, 1998 with a musical version of E.L. Doctorow’s Ragtime. 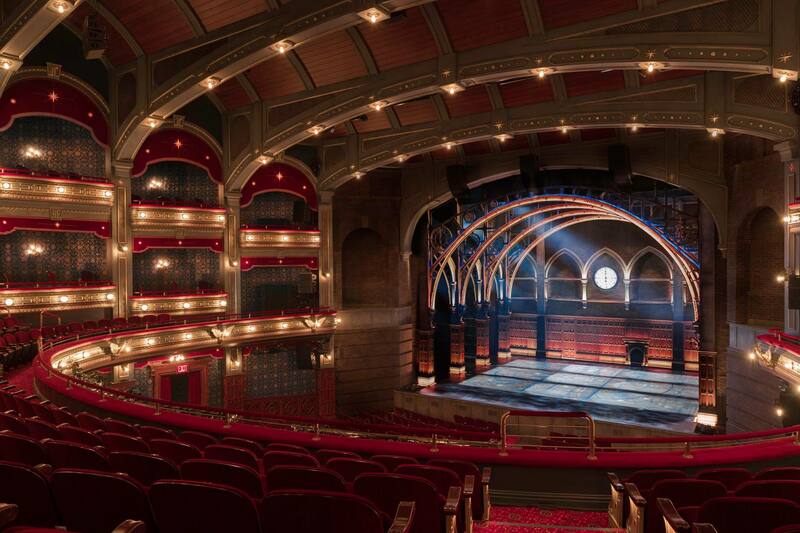 In 2005, the venue was completely renovated and renamed the Hilton for the US premiere of Chitty Chitty Bang Bang. After the closing of Young Frankenstein on January 4, 2009, the theatre was vacant throughout 2009. The production of the new musical Spider-Man: Turn Off the Dark was anticipated to open in December 2010, but problems in financing the record-setting budget of the show (estimated at $65 million), and technical issues, postponed the opening. After securing funding, Spider-Man officially opened on June 14, 2011 following seven months of preview performances. The theatre was renamed the “Foxwoods Theatre” in August 2010, under an agreement with Foxwoods Resort Casino and Live Nation. 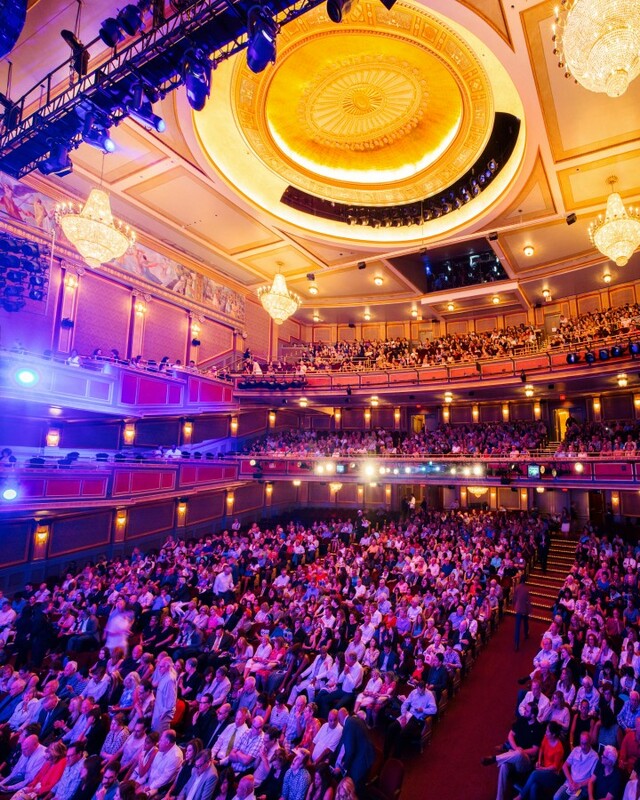 On May 20, 2013 it was announced that the UK-based Ambassador Theatre Group had acquired the lease to the Foxwoods Theatre for about $60 million. The New 42nd Street nonprofit organization remained as the landlord. 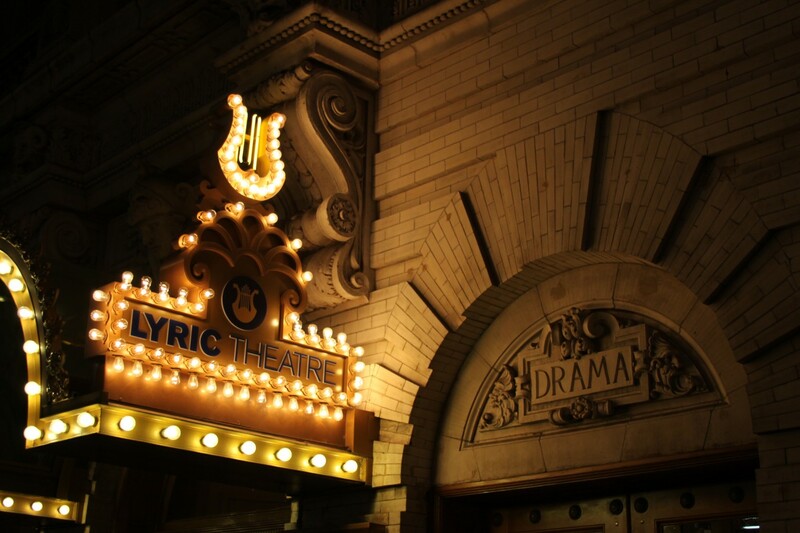 In March 2014, the theatre was renamed the Lyric Theatre by ATG. 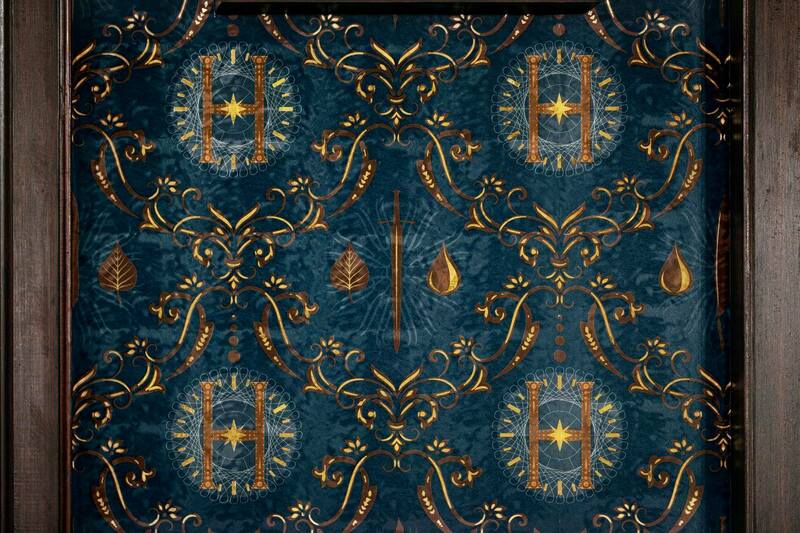 In December 2016, a major redesign of the theatre was announced by ATG, to prepare the venue for the arrival of Harry Potter and the Cursed Child. The redesign will reduce the capacity from 1,900 to 1,500, will increase intimacy and enable the deceptively simple (but massively complex) design from the London show to be seamlessly transferred to Broadway. 2005: Venue renovated and renamed the Hilton.